Unum’s customers access their disability benefits most often for short term leave following the birth of a baby, and long term leave for treatment and recovery from cancer. 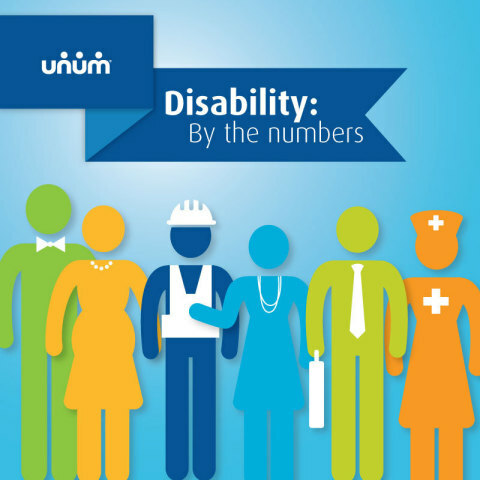 Unum (NYSE:UNM) , the leading provider of disability insurance in the U.S., analyzes claims activity each year and shares results near Disability Insurance Awareness Month in May to help foster a better understanding of the value of disability and other coverage. 1 EBRI and Greenwald, 2014 Health and Voluntary Workplace Benefits Survey (2014). 2 Ruth Helman et. al, “2013 Retirement Confidence Survey: Perceived Savings Needs Outpace Reality for Many,” EBRI Issue Brief (no. 384, 2013). 4 Society of Actuaries, Group Long-term Disability Experience Table (2012). Unum is a leading provider of financial protection benefits through the workplace. The disability insurance leader in the U.S. for 38 years, Unum’s portfolio of financial protection products also includes life, accident and critical illness, which help protect millions of working people and their families in the event of an illness or injury. In 2014, Unum paid $5.6 billion in benefits to more than 525,000 individuals and their families.